The compact and economical Tahoe 6 towel warmer from WarmlyYours provides all of the functionality of larger models while taking up significantly less wall space. This wall-mounted model comes with a discrete power switch and a hardwired electrical connection (110 120 VAC), which means the Tahoe 6 will present a sleek profile when installed. The 6 evenly spaced bars of this model deliver a heat output of 273 BTUs per hour, which will ensure your towels and bathrobes are warm and dry. The 304-stainless steel construction and highly polished finish make the Tahoe 6 as durable as it is elegant and functional. 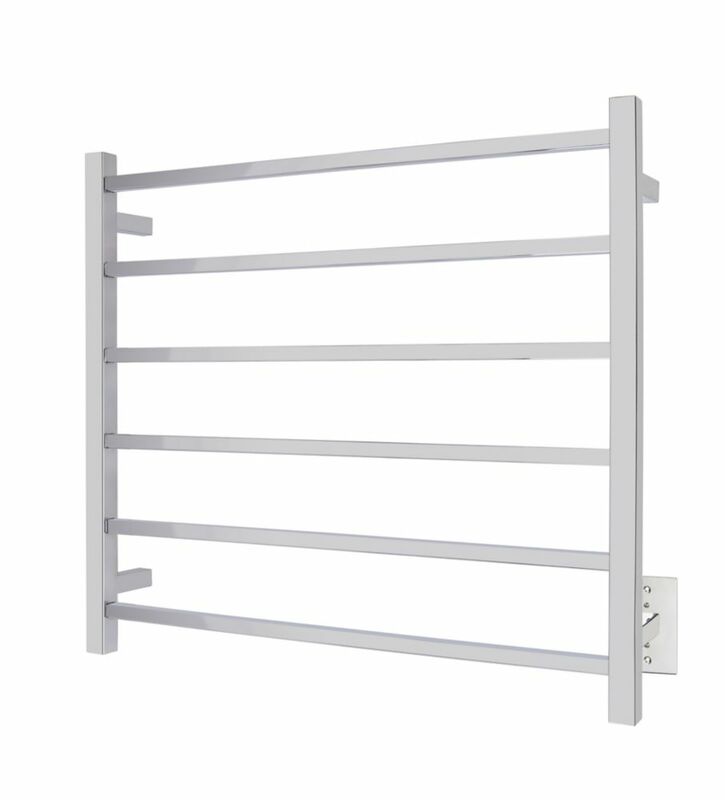 Tahoe 6-Bar Hardwired Towel Warmer in Polished Finish The compact and economical Tahoe 6 towel warmer from WarmlyYours provides all of the functionality of larger models while taking up significantly less wall space. This wall-mounted model comes with a discrete power switch and a hardwired electrical connection (110 120 VAC), which means the Tahoe 6 will present a sleek profile when installed. The 6 evenly spaced bars of this model deliver a heat output of 273 BTUs per hour, which will ensure your towels and bathrobes are warm and dry. The 304-stainless steel construction and highly polished finish make the Tahoe 6 as durable as it is elegant and functional.